Legal laggards, it’s time to put voice in the cloud and the cloud into the legal practice. If the Regulation Authority’s (SRA) Silver Linings Report (2013) and the Law Society’s cloud guidance (2014) that both specifically addressed key considerations in cloud adoption have not already swayed your opinion, perhaps our top 10 reasons for embracing voice in the cloud can. Let’s not beat around the bush: The very nature of the law firm may be holding it back from fighting at the forefront of cutting-edge technology but that doesn’t mean that new technology doesn’t finally arrive in the legal sector. It is great to see that a growing number of legal practices has indeed opened up to cloud technology since the publication of the Regulation Authority’s (SRA) Silver Linings Report (2013) and the Law Society’s cloud guidance (2014), which refuted a number of cloud myths and restored some faith in the cloud as a reliable and secure platform. Whilst the industry remains alert to data security and client confidentiality, adopters appreciate the organisational flexibility, cost-savings and competitive edge that it brings with it. What is more, it is not only data that finds a home in the cloud today; voice services, too, can be suitably hosted in a private cloud environment. Below we give you the top ten reasons why it’s hard to say nay to putting voice services in the cloud. Our Cloud survey conducted earlier this year showed that 60% of IT Managers stated cost savings to be the main reason for putting voice in the cloud. Over the life of the contract, the total cost of ownership can be significantly reduced as hardware deployment and maintenance costs are nearly removed, operation expenses lowered and long-term expenses such as technology refreshes, system rescaling or decommissioning minimised. As an added bonus, billing through a cloud model is both transparent and predictable because it can be adjusted to the client’s needs, e.g. the business can be billed per user, application and line capacity on a monthly basis. This means that the communications budget can be forecasted accurately avoiding unwanted surprises. Further cost savings are derived from reduced complexity: Communications systems today are complex with the number of different technologies and vendors involved. Deploying voice in the cloud enables consolidation of suppliers and the chance to outsource the solution as a managed service. IT teams can then focus on delivering new business technology enabling the business to save on resource and refreshing skills when required. Last but not least, virtualisation harbours environmental savings. Reductions in energy use through a cloud-based model not only have a significant impact on costs, but also reduce the practice’s carbon footprint. The more agile a legal practice is, the more chance of success it has. With the surge in growth of mergers and acquisitions legal practices are required to open new offices or merge sites together. Historically adding lines, call logging, recording and even server setup would take up a lot of the IT team’s time but putting voice in the cloud creates a standardised model that can be rolled out, so moves, adds and changes are simplified and scalability improved. For example, if the site is connected to the network, a new desk phone can be plugged in and will work instantly. 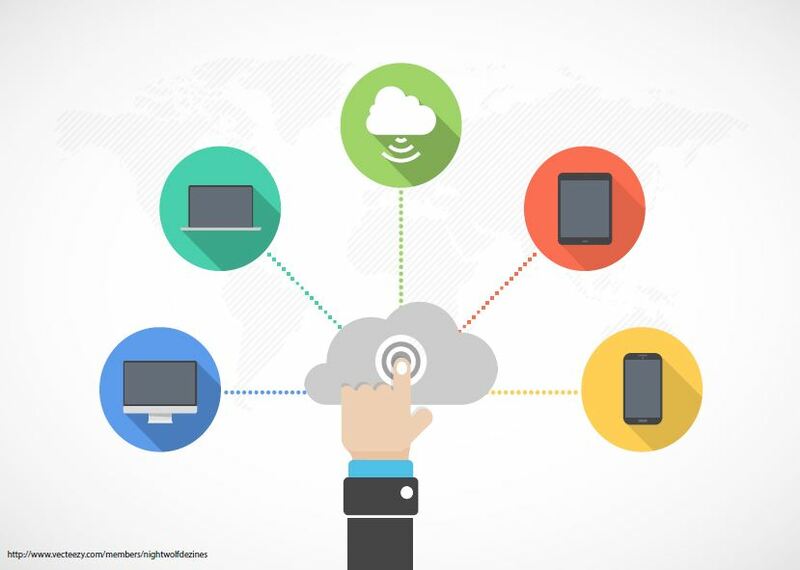 By putting voice in the cloud IT Managers can easily add applications such as conferencing and collaboration tools, contact centre and mobility solutions. The deployment of Microsoft’s Skype for Business (formerly known as Microsoft Lync) is a trend that is currently sweeping the legal industry: legal practices want to use Skype for Business for presence and collaboration, but still may want the functionality of their tried and tested communications solution that can be delivered through the cloud. Many law firms are now providing financial advice and are therefore subject to FSA regulations on call recording. The good news is that the calls can be encrypted and securely stored in the cloud for access when required and permitted. Ensure that your provider meets the industry standard of ISO27001. A benefit of putting communications in the cloud is the high availability service that comes from your provider. Expect levels of 99.999%. Your communications solution and data is hosted in a resilient and secure private cloud. With sophisticated monitoring issues are often identified before the service is affected. Proactive recommendations can also be highlighted to help improve performance. Communications is dependent on good connectivity and by hosting your voice in a private cloud you are guaranteed a robust and reliable platform. Providers may use virtual private network (VPN), over the top of the internet (OTT) or SIP to connect. The advantage of hosting your voice in the cloud is the flexibility that it can bring to your organisation. You can easily add on applications, software and devices to improve business and customer service. Additionally, cloud brings different deployment options. Whether you want your entire system hosted in the cloud or part of it in the cloud and on-premises (hybrid), both options offer security and confidentiality of client files. Under a managed service agreement the solution could be outsourced in its entirety. Alternatively, if you want to control elements yourself and have only the hosting and platform management outsourced you are afforded additional flexibility. With cyclical peaks and troughs common in many legal practices, having the flexibility to rapidly scale the number of concurrent calls both up and down means you can optimise business during these periods. An on-premise solution offers limited disaster recovery. Voice in the cloud, however, offers 99.999% availability, therefore augmenting your disaster recovery plan. The ability to work from anywhere means that disruption through “snow days” need no longer have an impact. Furthermore, built in resilience means that should one site lose connection to the network / core the system will carry on working and customer experience need not be impacted. The mobile workforce is growing fast with more people working from different locations and based from home. Lawyers put in long hours and work from home. Legal practices that have gone through a merger or acquisition are faced with a growing team using different technologies and devices. The cloud provides the ideal platform to deploy cost-effective, full function mobile and home working solutions, delivering the functionality of the office whilst on the move. Legal practices do not have to be concerned about the security of their data. Private cloud deployments, for instance, are ring fenced for the sole use of one organisation and offer higher levels of network security as networks are segregated with firewalls. This ensures that data is kept secure. The cloud provider needs to underpin the level of information security provided with an appropriate certification, i.e. ISO27001. On top of that, private cloud comes with extra protection as voice traffic is encrypted and the system is monitored 24/7.